FIRIS supports the NSW Department of Education’s statement that ‘schools are neutral grounds for rational discourse and objective study’, and that public schools should not be arenas for ‘opposing political views or ideologies’. The Department allows religious organisations to do things other organisations cannot. FIRIS believes the Department should apply its policies and curriculum consistently and fairly throughout every school day. This is the website of the NSW FIRIS group. FIRIS consists of an organising committee whose members represent their various communities and networks. We have supporters, nation-wide, on Facebook and our website. We are supported by the successful FIRIS team in Victoria and similar action groups interstate. Our supporters include academics, politicians, and people of faith. FIRIS wants the Department of Education to collect and make public the data concerning SRE. FIRIS wants enrolment forms to be clear and unbiased. FIRIS wants transparency around the providers of SRE, so that their curriculum is clearly available to parents so parents can give informed consent. FIRIS wants to end the discrimination against the tens of thousands of public school students who are, by policy, currently given no educational instruction during the SRE timeslot. FIRIS wants principals to be supported in what programs can run in their schools and how they are managed. FIRIS wants SRE in public schools to be an issue at the next state election. Take your child out of SRE (Scripture) and encourage other parents to do the same. FIRIS has a letter you can use. School P&Cs have a representative on the NSW Department of Education Consultative Committee for Special Religious Education. Your P&C can contact the representative with your concerns. 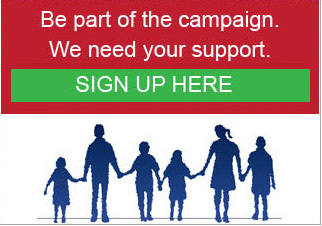 Write to your local member, the NSW Minister for Education, and the NSW Premier. Contact the The Director, Early Learning and Primary Education, who monitors the implementation of the policy and Chairs the NSW Department of Education Consultative Committee for SRE. Details here. Share your stories about SRE or any other activities of a religious nature in your school with FIRIS. Contact FIRIS for more information and support or if you have any concerns with anything your child is told during SRE or if you are not happy with what religious organisations are doing in your school. FIRIS can help you write a complaint to the principal. You can donate to FIRIS. We have a fundraising campaign here. FIRIS writes to the Department of Education to clarify points of policy and to report breaches of policy. FIRIS collects information about religious groups who have access to students in public schools. FIRIS liaises with other groups in other states, for example, Queensland Parents for Secular State Schools. See their report into the Connect curriculum here. FIRIS liases with broader educational interest groups. FIRIS tracks Departmental investigations into SRE; for example, FIRIS has used freedom of information laws (e.g. NSW GIPA 2009) to obtain draft versions of the independent ARTD SRE/SEE review report prior to the NSW Department of Education releasing the final version to the public in April 2017. FIRIS makes submissions to other bodies, for example, the Royal Commission into Institutional Responses to Child Sexual Abuse, the Senate Inquiry into Gender Inequality and Domestic Violence, and freedom of religion and belief inquiries and reviews. FIRIS can help you navigate the policies, talk to the school principal and P&C, and write letters to politicians. FIRIS talks to the media. FIRIS wants to hear from you. Let us know if you want brochures or want help to talk to your principal or school P&C. If you have contacts or ideas, we want to hear from you! We know we can do this. From 2017, religious instruction (SRI) was taken out of class-time in Victorian public schools and treated as an after-school elective. Instead, children in Victorian public schools are taught about the major religions which make up our multicultural community, together with secular and ethics – by class teachers as part of the official curriculum.